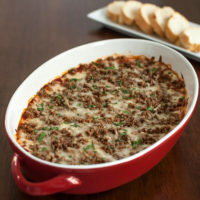 Ok, so I must say that I’m excited about this dip recipe! I was scrolling through Pinterest one day and came across a homemade cheddar bay biscuit recipe. Well it has been ages since I have been to a Red Lobster, but I’ll admit, I do love those garlicky, cheesy creations that the seafood chain has made popular. 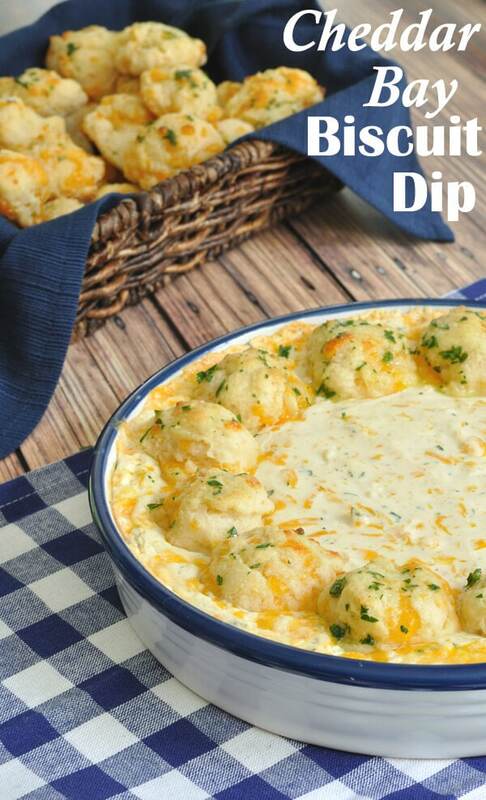 The homemade version sounded yummy and then it hit me: I have to make a dip with the flavor of those biscuits. 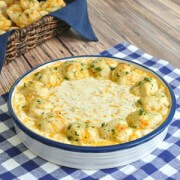 Yes,that’s right, a Cheddar Bay Biscuit Dip! For the trial run of the cheddar bay biscuit dip, I made up a batch of biscuit dough and crumbled it over the top of the dip before baking. It turned out amazing! However, I kept struggling with what to serve this dip with. My neighbor (aka my always on stand by taste tester) voted simply for a spoon 🙂 Then I decided, why not just keep with the theme? Instead of using the dough to make a crumble on the top, I actually made mini biscuits to serve with the dip. You could also completely skip the biscuits if you wanted to just make a simple dip. Update, since posting this, I actually make this a lot now and serve with pita chips. Either way, this cheddar bay biscuit dip is tasty. Also, if you didn’t want to make the biscuits from scratch, you could use the pre-made cheddar bay biscuit mix although the homemade version is fairly simple. Cheddar Bay Biscuit Recipe courtesy of Damn Delicious. To make the biscuits “mini” size, I used a 1 TBSP measuring spoon to scoop the batter onto the baking sheet. Otherwise, I followed the recipe exactly. Easy appetizer with all the great garlic and cheese flavor of the famous biscuits. 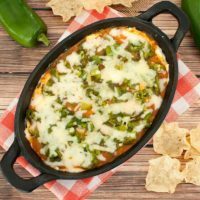 This dip will be a hit at your next party or potluck. Add in buttermilk, garlic powder, cayenne pepper, and parsley and mix until creamy. Stir in shredded cheese until mixture is well combined. Spread mixture into a shallow baking dish or pie dish. Bake dip at 350 degrees for 20 minutes or until heated through. 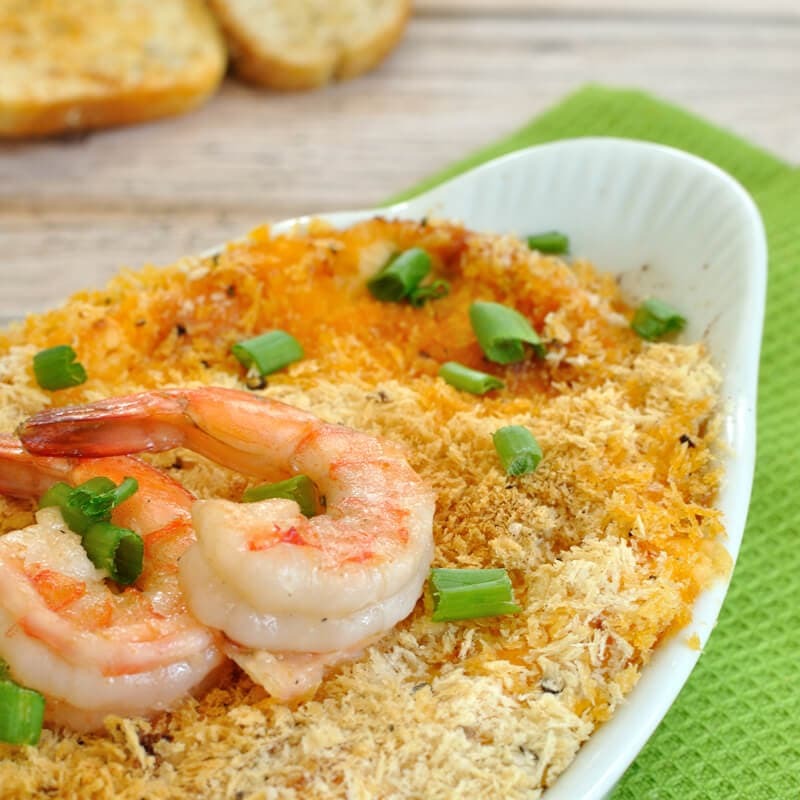 Serve with pita chips, bread, or baked mini-cheddar bay biscuits. 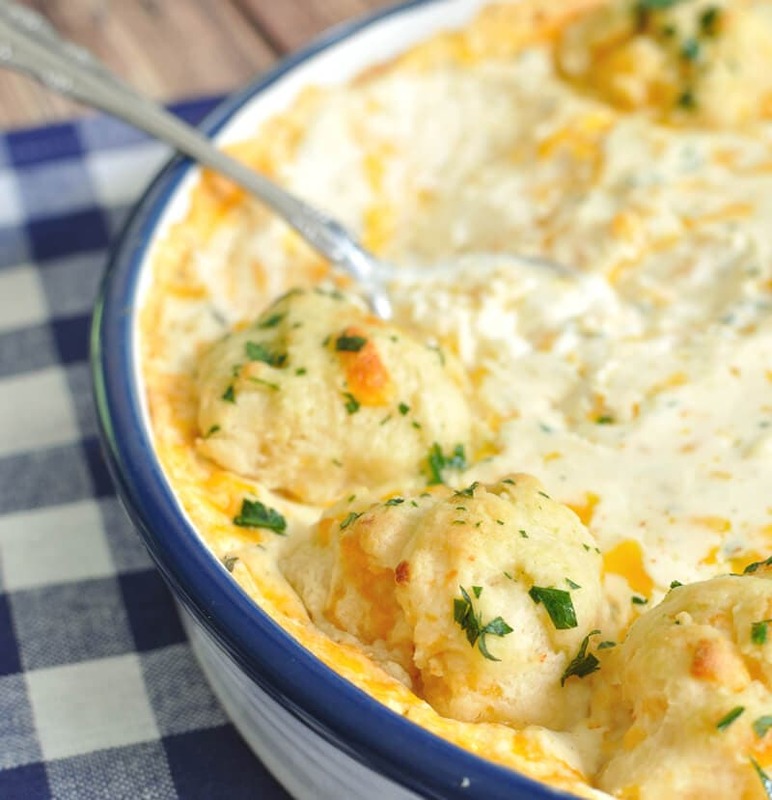 Follow this Cheddar Bay Biscuit Recipe from Damn Delicious and use a 1 TBSP measuring spoon to scoop out the dough instead of using a 1/4 measuring cup. If desired, place on top of heated dip as shown in the photos. Total time listed in recipe is for the dip and does not include the time for making the homemade biscuits for dippers. This sounds really good!!! I just have a question….the ingredients lists “2 Cups shredded cheddar cheese” but, in the directions there’s no mention of this ingredient. At what point do you add the cheddar cheese? Thanks!!! So sorry about that! I have updated the recipe to add the missing step. Thanks for asking! Thanks for the update-I can’t wait to make this!! OMG, this just blew my mind and I HAVE to make it ASAP! I am obsessed with Cheddar Bay Biscuits and the fact that you made them into a cheesy dip sounds so insanely good! PINNED! YUM! Where is my spoon!